CoodEdit is an application for CANopen object dictionary editing.This application allows you to manage dictionary objects in completely graphic mode, and then generate a code with an object dictionary for the microcontroller. The program is intended only for the CANopen driver developed by “Vector” Ltd.
RTCON, COODEdit, ScopeOpenGL software and the CANopen driver work together and provide a complete solution for setting up and debugging low-level microcontroller-based control systems. It is recommended to read the introductory review article on these products – “Debug methods for embedded microprocessor systems in power converters” and also visit their general page. 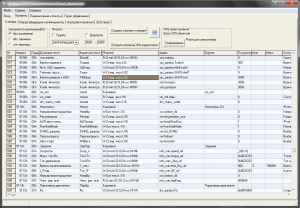 Editing of an object dictionary presented as a table: creating, modifying, deleting objects. Generation of a file for microcontroller CANopen driver based on the composed object dictionary. 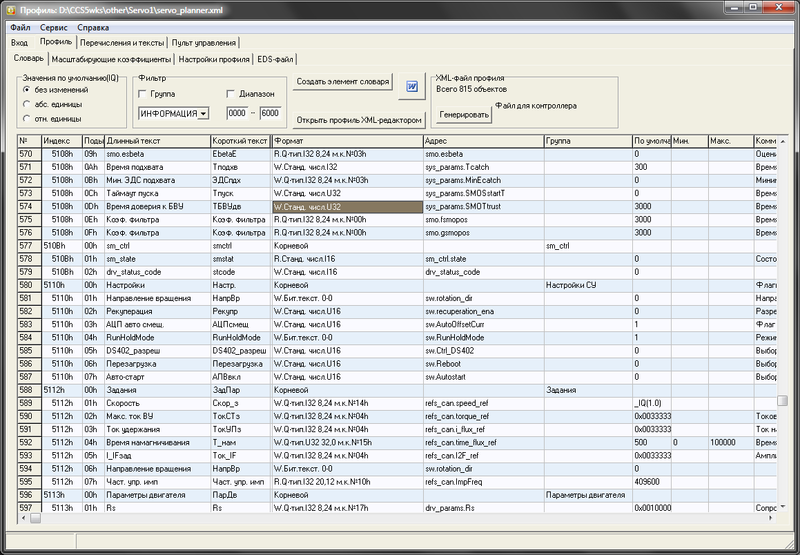 Generation of a Word report file with a demonstrative list of parameters (for the device user manual) based on the composed object dictionary. Generation of an EDS file for operation with CANopen device of third-party upper-level systems (network master) based on the composed object dictionary. Administration of the texts and enumerations database (names for parameters) for one user as well as the synchronization of the database between users of the same company (through the database). Generating of a list of texts for the upper-level software UniCON and for the control panel, for example, based on PU 20.4. Administration of the table of scale numbers (multipliers and units of measure to translate the values of variables from the microcontroller view (for example, 0x274840) into a user-friendly form (12 Amps)). Import of objects from another device object dictionary profile (for more simple transferring of a group of parameters from one device to another). Import of current device settings as default values for selected dictionary objects. Index and subindex of the object in CANopen dictionary. Text (parameter name) is long (for a computer) and short (for a control panel with a small display). Format of the parameter (number of digits, signed/unsigned, units of measure, scale, etc.). Name of the variable in a microcontroller (C language). Group of parameters (another hierarchy besides the index and sub-index). The default, minimum and maximum value of the variable. Comment for the object (for the generated user guide). The name of the C function that will be called when accessing the parameter (callback), if necessary. To manage the names of the parameters (texts for elements of object dictionary), network synchronization of texts created by various users through the use of a common mysql database is performed. This allows you to synchronize the names of parameters created by different developers within one company and generate a single parameter text file for UniCON software. In this case, with the help of UniCON software, you can work with any device created in the company, regardless of which developer conducts the project and administers the object dictionary.